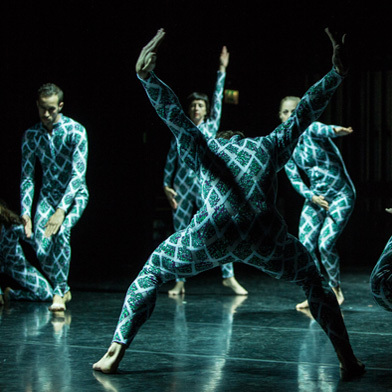 This piece for six dancers inspired by his Collide@CERN-Geneva residency at CERN involves collaborative work with German artist Julius von Bismarck, Ars Electronica Prize Collide@CERN 2012 and also former resident in that institution. 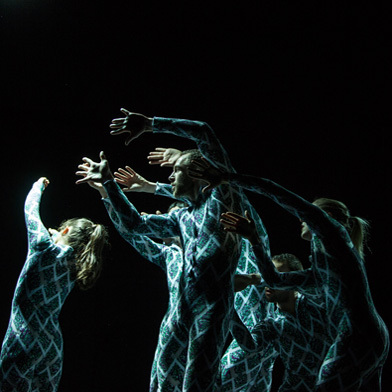 Thanks to this collaboration, QUANTUM is supported by Fondation d’entreprise Hermès’ New Settings program for the performing arts. The original music has been composed by Carla Scaletti incorporating real data from the LHC. The costumes have been created by Belgian fashion designer and visual artist Jean-Paul Lespagnard. QUANTUM is the result of an artistic residency in the largest particle physics laboratory in the world: CERN in Geneva. 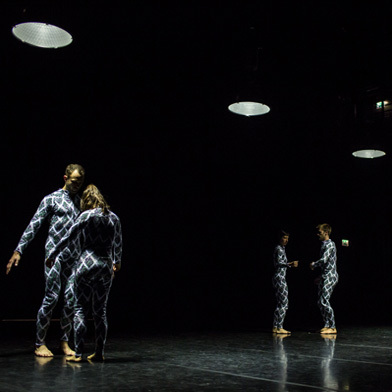 During his residency at CERN, Swiss choreographer Gilles Jobin learnt that we were all but stardust floating in space, that gravity was the weakest force in the universe–a real shock for a contemporary dancer whose work often focuses on contact with the ground–and got to meet the rising star of visual arts, German artist Julius von Bismarck. Under the flag of the Higgs boson, their encounter was a high-energy artistic collision indeed. Artists in the midst of scientists, the choreographer and the visual artist eagerly immersed themselves into a universe of numbers and abstractions for several months before going back to Berlin and Geneva respectively to continue working on the highly sophisticated QUANTUM–an ode to particle physics for six dancers–and finally joining up to combine their respective work in situ. For New Settings, supporting the artists on this journey was an exhilarating experience. Both faced the same challenge of injecting physicality into abstraction, the choreographer who related his own vision of movement to the physicists’ principle of ‘deconstruct-and-scale’ and the visual artist who, with the help of renowned researchers at CERN, devised an impressive light-activated sculpture. 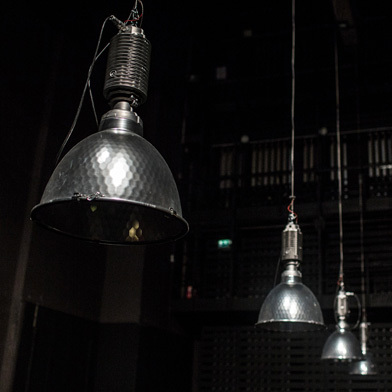 Consisting of four lamps swinging in a constant circular motion, the installation highlights the main laws of physics and responds to imperceptible fluctuations resulting from some meticulous programming that follows the choreography; the lamps and the dancers delving into the mysteries of antimatter, and the mix of visual and choreographic arts succeeding wonderfully in dressing the laws of physics in a veil of beauty.